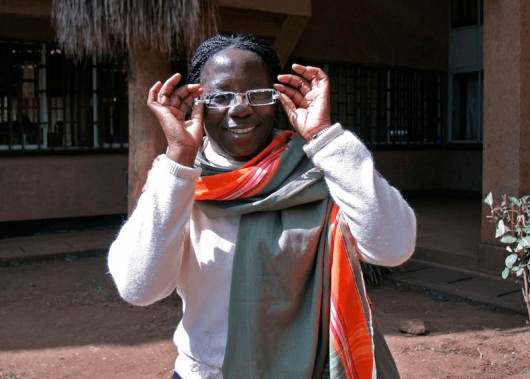 Eyejusters – self-adjustable glasses designed for the developing world! Anyone who currently wears glasses or contact lenses will have likely consulted an optometrist to determine their prescription … that is, if they live in the developed world. In developing nations, many people aren’t afforded the opportunity to see a professional in this field. Thankfully there are alternatives, one of which are the self-adjustable glasses from Eyejusters. 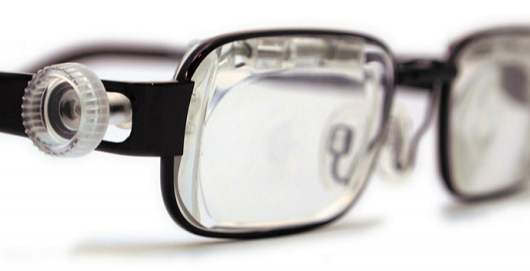 The British company is aiming to take low-cost, self-adjustable glasses to developing nations. In order to do so, the team of four have developed an adjustable lens technology called SlideLens. This consists of a pair of lenses which act together to correct an individual’s eyesight. By sliding one of the lenses over the other from left to right, the prescription changes until the world comes into focus. There are two different types of SlideLens – positive power (for long-sightedness) and negative power (for short-sightedness). The range of the positive power lenses is from +4.5 to 0 diopters, while the range of the negative power lenses is from 0 to -5.0 diopters. This covers the majority of common cases. The glasses are priced at US$39.95 for the individual buyer, but the main aim is to distribute these to people in the developing world. No professionals are required in the process of distribution, with anyone who has received basic training able to get involved. After a simple reading test, the type of glasses required by each individual patient is determined. They then choose which color they want, and can adjust the lenses until they’re happy. A repeated reading test ensures an overall improvement in the patient’s eyesight. The whole process can be seen in the video embedded at the bottom of the page. These aren’t the first self-adjustable glasses ever conceived, with the Adaptive Eyecare spectacles developed by Professor Joshua Silver already on the market. Previous attempts have used fluid-filled lenses to solve the problem, but I personally feel turning a screw to adjust the prescription is a more elegant solution than spectacles adjusted using syringes and tubes. The Eyejusters also look less cumbersome and more stylish, although they wouldn’t be many people’s first choice of frames. This is function over form, and they do the job they need to do. Regardless of the method used, this is definitely a problem in need of a solution. There are estimated to be 670 million people around the world living without the glasses they need, with 95 percent of the people in sub-Saharan Africa who need them going without. This is due to there being an average of one optometrist per one million people in that part of the world, compared to one per 10,000 in the United States and Europe … which is a frankly shocking statistic.